Five miles east of Hood River and 16 miles west of The Dalles sits the town of Mosier. Though it has a population of just 437 people, this quaint town is overflowing with warm smiles, abundant fruit orchards and stunning hiking and biking trails. One such trail worth visiting is the Mosier Plateau Trail. 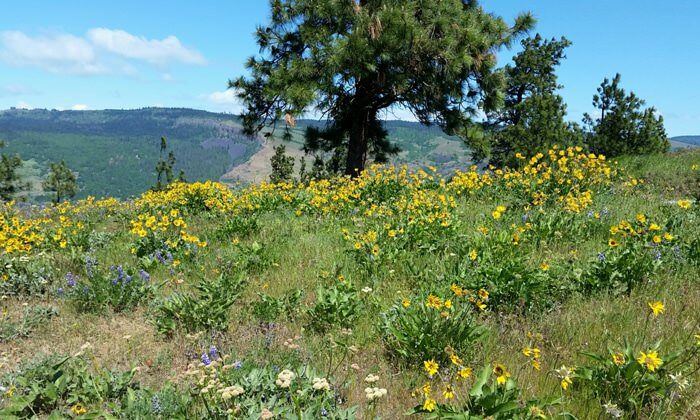 This 3.5-mile moderate out-and-back hike takes you past blooming fields of wildflowers, along Mosier Creek and Mosier Creek Falls, then up to the open plateau where, depending on the season, you can observe bald eagles soaring through the sky. 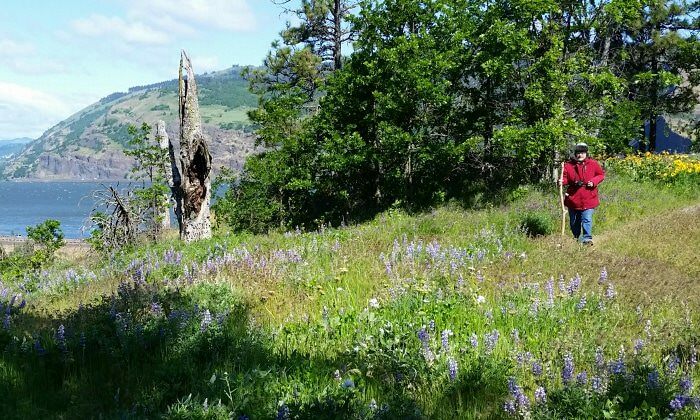 Beyond the stunning scenery and abundant flora and fauna, this trail represents what the Mosier community is all about: people coming together to build something everyone can enjoy that celebrates the beautiful place they call home. The idea for the Mosier Plateau Trail came from the local nonprofit the Friends of the Columbia Gorge Land Trust. 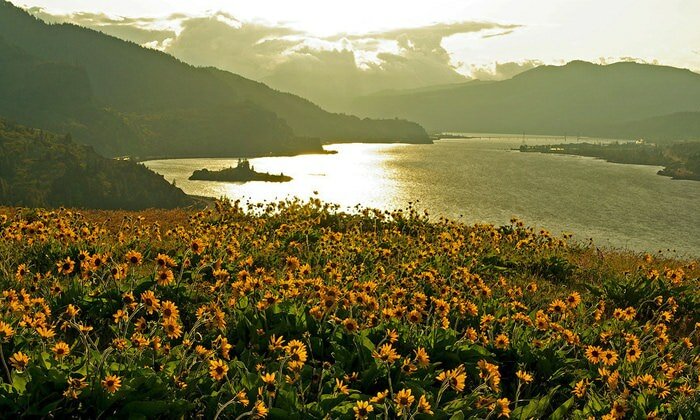 The organization set a goal to create a series of trail connections throughout the Columbia Gorge that would support hiking opportunities between each of the 13 urban areas in the region. Renee Tkach, the program manager of the Gorge Towns to Trails program, likened the idea to the hiking systems that are prevalent throughout Western Europe. It just so happened that Mosier Plateau was a critical piece in the puzzle of needed trail connections in the Gorge and became the first trail to be completed in the project. The Mosier community loved the idea of adding new trails to their backyard and helped to lead the efforts for fundraising and volunteer support to get it done. Additionally, the Friends of the Columbia Gorge Land Trust connected with Travel Oregon and became a project beneficiary of the Travel Oregon Forever Fund. This fund gives visitors and locals in Oregon the opportunity to give back to the places they love to explore. Each year, funds raised go towards development projects in Oregon’s seven regions that support both community and environmental needs. With help from local high school students who built half of the trail system with NW Youth Corps, the trail was completed in the summer of 2013. The Mosier Plateau Trail is now a staple in the community and for visitors. Local schools incorporate visits to the trail into their physical education and environmental science coursework. The Friends of the Columbia Gorge Land Trust lead regular guided walks along the trail each year. (Keep your eyes peeled for special wine-hiking, ‘wiking,’ tours led by the group!) Soon plans will move forward with building the trail out past Mosier Plateau, all the way to The Dalles. Have lunch at the Rack ‘n Cloth, a cider house and restaurant that specializes in using local ingredients. Head west on the history highway and walk through the Mosier Twin Tunnels that were uncovered back in the 90’s. Stay a night at the Balch Hotel in Dufer, about 30 minutes away. This turn-of-the-century hotel will offer you a truly unique and local experience.